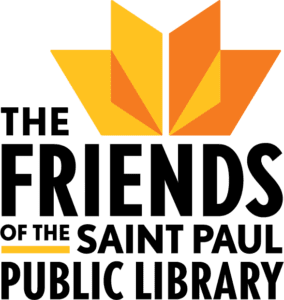 Each day leading up to the 30th annual Minnesota Book Awards Ceremony, we’ll be featuring an exclusive interview with one of our 36 finalists. Learn more about these incredible local writers and gear up to see the winners announced live in person April 21. How does it feel to be a finalist for the MN Book Awards? Being a finalist is at once very gratifying and very familiar. It is snowing out today, but I can imagine that I am walking around in this latest blizzard wearing a warm cape of feathers, and perhaps a hat knitted out of fuzzy leaves from trees native to Minnesota. The best thing about being a finalist is that my sister is a finalist for a better book than mine, and my parents and relatives are coming to the bash! Writing means maintaining a frail and ever eroding grip on sanity. Why are stories important for our communities? There is always a war of narratives going on in the world, a struggle to find what is true of others, and of oneself. We need narrative from the beginning. We crave to read reflections of a reality we can bear, or a reality that will enchant us. When stories are contorted to destroy truth, we can be controlled. When stories reflect the endless struggle of the poor and powerless, when stories incite compassion or the crushing need for freedom, they are dangerous. They make us want a better world. What people might not know about me might also be predictable. I love snow. My daughters and I have always gone outside during blizzards. When snow from miles above comes down to earth and is suspended in air, you breathe it in and are inhabited by the stratosphere. I dont take my car out during road emergencies, but as people constantly get stuck at my corner I join the instant comraderie that forms around a stranded vehicle. My daughters have outgrown their trampoline so now it is a neighborhood trampoline. All winter I shovel the snow off so it wont sag and be unsafe in spring. It is my sacred calling. The scent of dry paper. The innocence and the power. 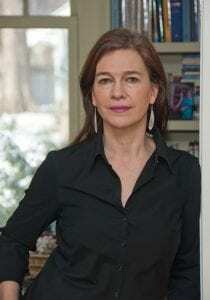 Louise Erdrich is the author of 15 novels as well as volumes of poetry, children’s books, short stories, and a memoir of early motherhood. Her novel The Round House won the National Book Award for Fiction. The Plague of Doves won the Anisfield-Wolf Book Award and was a finalist for the Pulitzer Prize, and her debut novel, Love Medicine, was the winner of the National Book Critics Circle Award. Erdrich has received the Library of Congress Prize in American Fiction, the prestigious PEN/Saul Bellow Award for Achievement in American Fiction, the Dayton Literary Peace Prize, and five Minnesota Book Awards. She lives is the owner of Birchbark Books, a small independent bookstore.